Catechins are a type of flavanoid found in certain kinds of tea, fruit, chocolate and wine. They are associated with a variety of health benefits, including the maintenance of cardiovascular health, the reduction of cancer risk and weight loss. Epigallocatechin gallate (EGCG), present in green tea, is the catechin responsible for enhanced weight loss. Catechins promote weight loss by increasing the amount of energy your body uses and by making it easier for your body to use excess body fat. You can increase your weight loss up to 100 percent by taking in green tea catechins, according to a study published in the February 2009 issue of “The Journal of Nutrition.” Green tea catechins also allow you to lose more fat from your abdominal area. While green tea catechins seem to be effective at promoting weight loss, the catechins found in other foods do not have this effect. 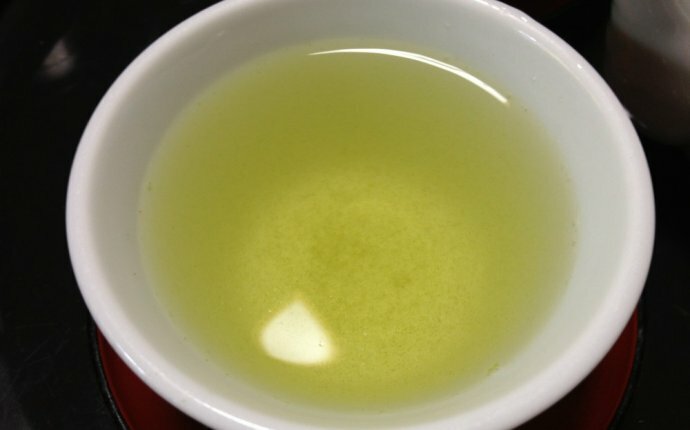 You can get EGCG naturally by drinking a glass of green tea or as a supplement. A daily dose of 270 mg is noted to be effective, according to a study published in the December 1999 issue of “The American Journal of Clinical Nutrition.“ The average cup of freshly brewed green tea has 25 to 30 mg of EGCG in it. Drinking three to four cups of double-brewed green tea each day is likely to be highly effective. That being said, the effective dose varies from person to person. It’s best to start with a lower dose and increase it as necessary. While green tea is generally safe, unpleasant side effects have been reported. Green tea and green tea extracts typically contain caffeine. You may experience symptoms such as nausea, vomiting, dizziness, confusion and muscle tremors if you take in too much caffeine. Caffeine can also worsen certain conditions such as fibromyalgia. If you’re taking certain medications, you may not be able to drink large amounts of tea. For example warfarin, an anticoagulant, may not work as well if you take in excessive amounts of the tea or EGCG extract. The best thing to do is speak to your doctor before starting this kind of supplementation. She can tell you the best way to prevent adverse effects or potentially dangerous drug interactions. Different factors will determine how effective green tea catechins are in promoting weight loss. You will get more catechins out of freshly brewed green tea than you will by drinking decaffeinated, instant or pre-made teas, for example. If you choose to go with catechin extract supplements, you’ll need to read the list of ingredients carefully, as EGCG supplements usually have other ingredients, such as yohime, willow bark extract or theobromine. These additions come with their own set of complications and contraindications, so keep that in mind when speaking to your doctor about safety.